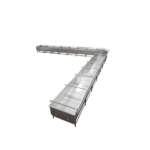 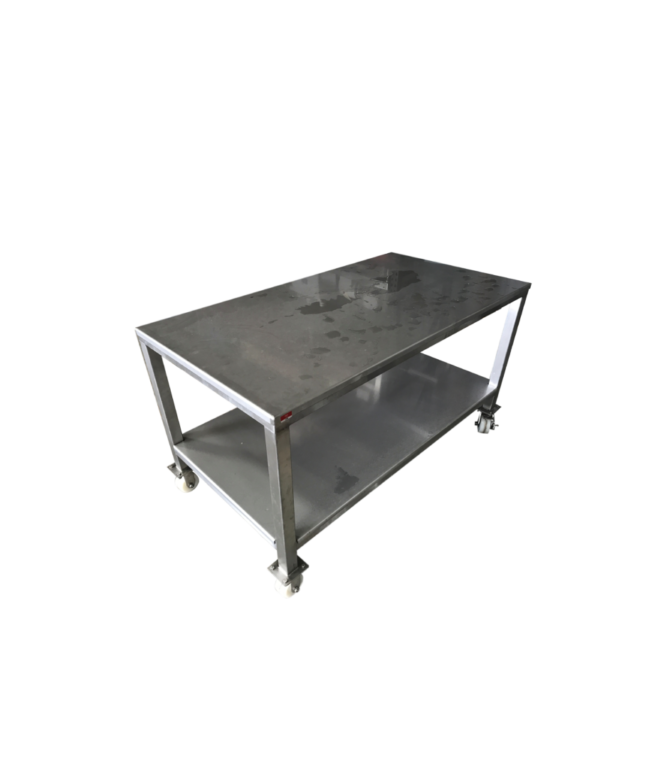 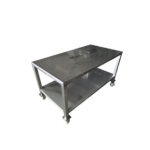 Our heavy-duty 12 gauge or 14 gauge stainless steel work tables! 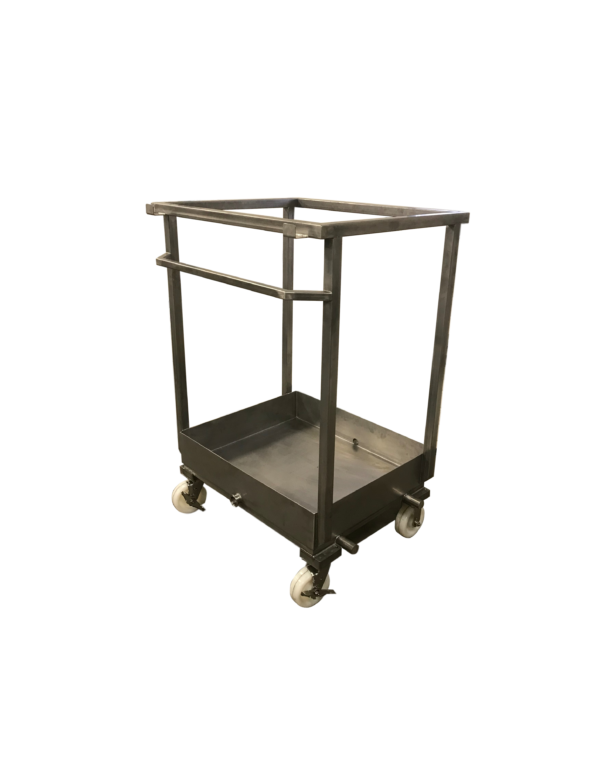 Lockable or swivel casters and with a removable top shelf. 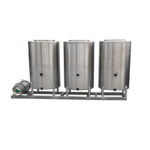 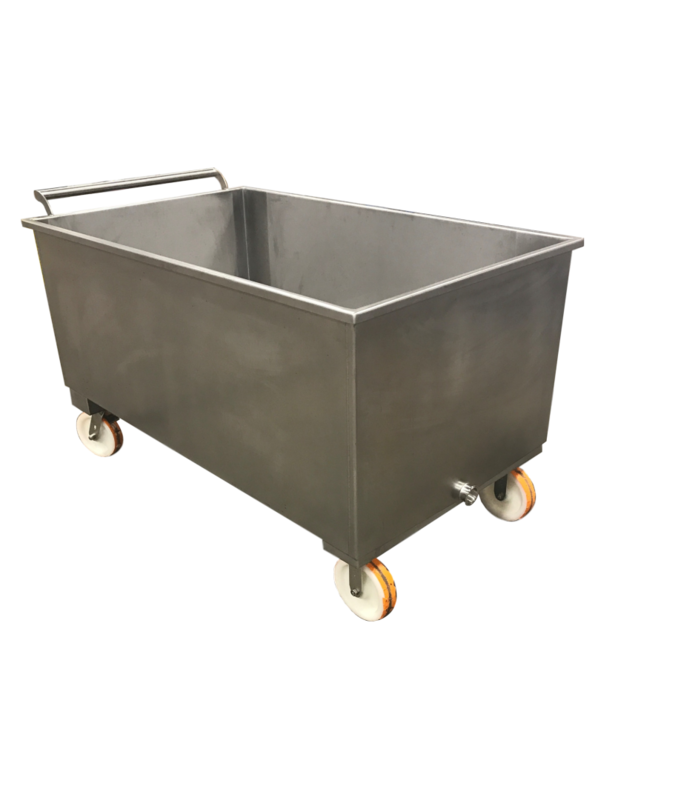 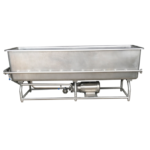 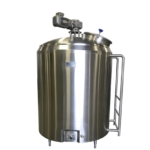 Stainless steel transportation tubs. 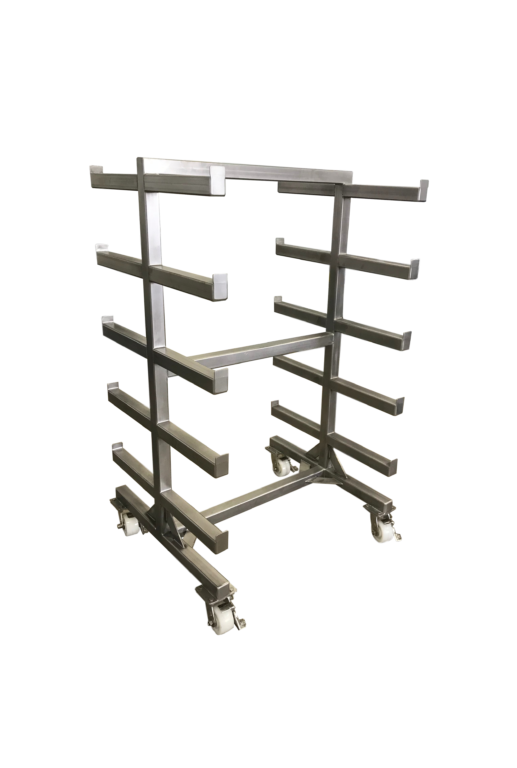 Four casters, two swivel and two rigid. 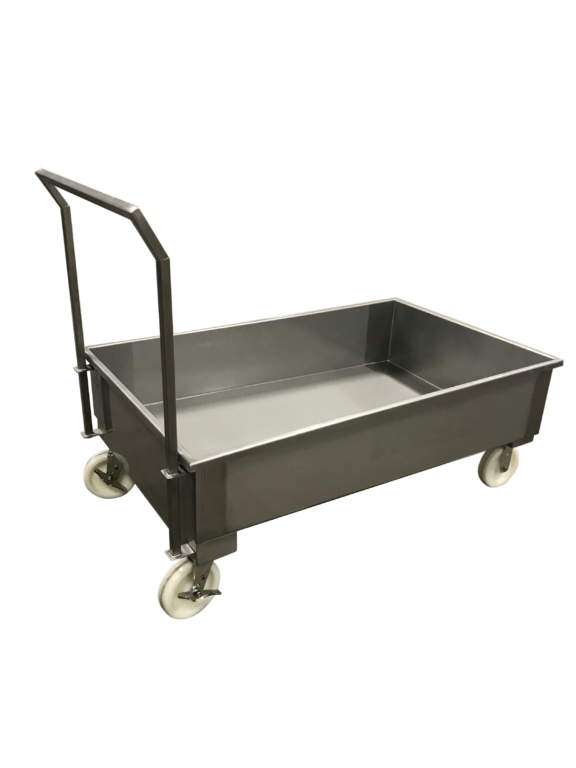 With handles. 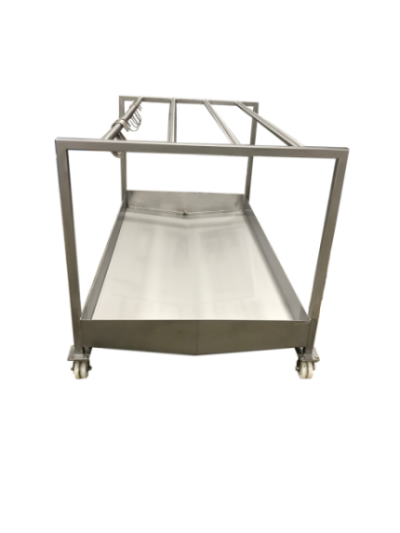 Mobile cart that holds bags of cheese and collects the whey that drains off. 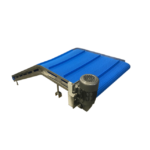 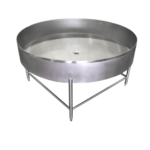 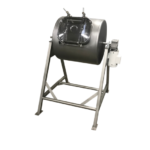 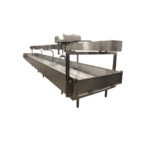 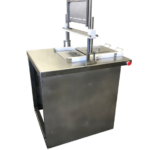 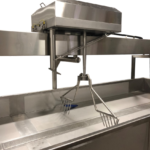 All 304 stainless steel construction, 4″ food-grade casters, custom made bag hooks, can hold up to 32 50-pound bags, bottom pan holds 100 gallons, with a tri-clamp drain. 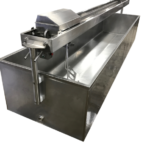 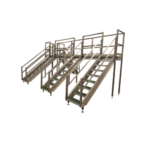 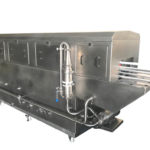 Length, width and height can ALL be customized to your needs!